This Texas Massage Therapy Continuing Education 6 hr (6 CEU) class runs from 9am - 4pm and is $140. Feet take on the weight of the world, and – for most people – not much feels better than a good massage that’s focused just on them. Both general and specific work are usually appreciated, and not much gets more specific than foot reflexology, where key locations can be effectively targeted. 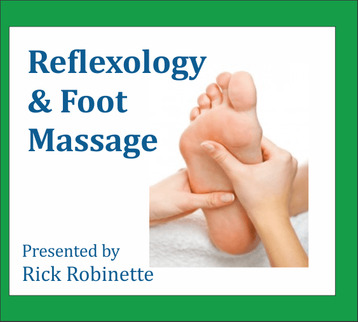 Come learn how to optimize both massage and reflexology for the feet. One (1) narrow-tip and broad-tip massage tool, set of sheets, face cradle cover, large towel, bolster, shorts, pen/pencil. You can pay a $40 non-refundable deposit now to hold your place in class and pay the remaining $100 when you arrive for class. You can pay for the class in full at this time and owe nothing when you arrive for class. $40 of the total $140 is considered a deposit, and is non-refundable. Up to 7 days before a class, your deposit can be moved to other classes, but within 7 days of your class, your deposit will be forfeited.